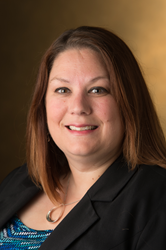 Southern Illinois University Edwardsville Vice Chancellor for Student Affairs Jeffrey Waple, PhD, has named Miriam Roccia as associate vice chancellor for Student Affairs. Roccia will assume her new role on Monday, July 2. SIUE Associate Vice Chancellor for Student Affairs Miriam Roccia. I am passionate about providing opportunities for students to develop a sense of belonging and mattering through their engagement with campus programs, services, facilities and people. Roccia brings more than 18 years of professional experience in higher education to SIUE. Since 2012, she has been serving as assistant dean of students at the University of Missouri-St. Louis. She oversaw UMSL’s residential life and housing, recreation and wellness, Millennium Student Center, student involvement and new student programs. She joined UMSL in 2007 and previously served as associate director in the Office of Student Involvement and director of student life. Roccia began her career in higher education at Drake University in 1999. She served as assistant complex director, area director and assistant director of residence life. In 2003, she joined the University of Wisconsin-River Falls as an involvement coordinator before being promoting to co-director of the first-year experience program. She earned a bachelor’s in political science from Truman State University in 1999 and a master’s in public administration from Drake University in 2002. Roccia replaces Lora Miles, who retired in December 2017 after 31 years of service.